The new kitchen won't occupy the entire space available: an area will be separated off with a plasterboard wall to form a small utility room that will house the water heater, the washing machine, a toilet and hand-basin. Before the concrete goes down, we just need to re-position the soil pipe to take the toilet in its new position. Cut the old pipe, then glue the new one in, testing different angle joints and pipe lengths to get the connection in the right place (we hope). A bit of a race against the concrete tide, but done in good time. After the walls were knocked down and the basic shape of the new kitchen sorted out, we needed to get the plumbing done. I decided it would be a good opportunity to put in an outside standpipe too, so at the same time as we put in the sink drain, we threaded a plastic pipe (blue) through the same hole. The water supply to the sink (hot and cold) will also serve to supply the dishwasher, and is fed through two plastic pipes from the main riser in the cupboard. The conduits for this and the conduits for the electricity feeds were laid out on the floor, on top of the new insulation, ready for concreting over. At this point I get a bit jittery, since any mistakes are set in concrete, literally. I suppose that in the worst case, I could pass a conduit over the ceiling behind the plasterboard, but I would really, really prefer not to have to do that. And so, we're ready for concrete. The kitchen project is taking most of my time at the moment, so here's a few pictures of some butterflies that were gorging themselves on some Sedum in the garden a few weeks ago. The pictures are a bit blurry, but that's because the butterflies didn't stay still, even when I asked them nicely. Once the rooms are empty, we can start to knock down the walls. Looks a bit like a Schwarzenegger has been here with his "I'll be back" promise, or someone was in a desperate hurry to get to the toilet still hidden behind the far wall. And so, eventually we got the walls down, and the builders started digging up the floor. We had some difficulty here. Exactly what aspect of "don't drill through the electric cables or the water pipes to the kitchen" do you not understand? The kitchen in our house here has never been particularly nice to use, and was old and tatty when we moved in 8 years ago. So we decided it really was about time we did something about it. The ground floor is split into 6 rooms including the hallway. On the right as you walk in the front door is the living room, first on the left is the door to the kitchen then second on the left is the door that leads to a small downstairs bathroom/utility room and on to the office (was designed to be a bedroom). In front of you as you walk in is a door to a tiny toilet. The office/bedroom is much bigger than the kitchen and it was our friend Leo who suggested that we could install a kitchen in the office to get a bigger one. Good idea. First stage is to empty out the office and the utility room (that also stores a lot of my tools and gear), and to distribute the desks, filing cabinets and whatnot around the house. Here is a couple of views of the empty office room. In the second picture, the bathroom/utility room is behind the interior wall and to the left of the corridor that leads on into the living room. The first job will be to knock down the internal walls and then clear out the cupboards and bath from the bathroom, and take the toilet out too. (Anyone want a cast iron bath? Needs re-enamelling). Not as good as the Manneken-Pis, but it's mine. 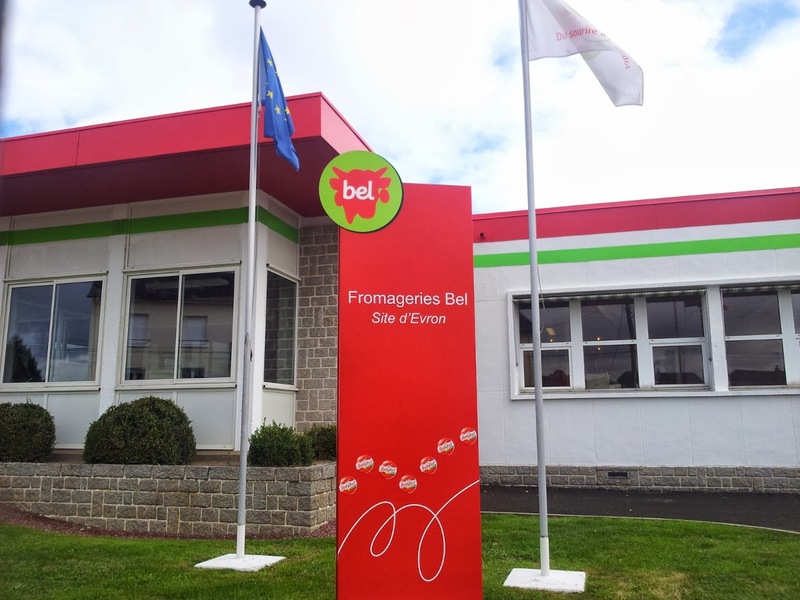 I have been doing some work for the Bel cheese factory at Evron, who make Mini Baby Bel cheeses. I now know more about cheese than I ever though was possible. In a town of some 8,000 people, the cheese plant is an important employer, with some 660 staff. The Bel group owns various brands including Boursin, Baby Bel and The Laughing Cow. At Evron they make nothing but Mini Baby Bel cheeses; millions of them per day. One of the things that I didn't know about cheese, for example, is that there are two main processes going on in its production. One is the fermentation of the lactose sugar in the milk to form lactic acid, the other is the curdling of the cheese using the enzyme rennet that coagulates the milk protein casein. The fermentation goes on during the whole cheese-making process and is stopped by salting the cheese. The enzyme reaction stops when the enzyme is used up. If you don't use rennet and just do the fermentation you get yoghurt; if you just use the enzyme you end up with nothing useful. 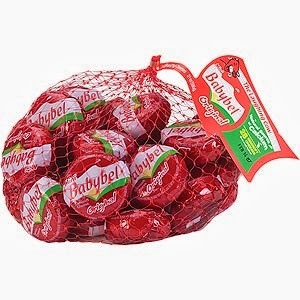 Originally, Mini Baby Bel cheeses were a marketing gimmick, and were produced by hand, cut from the full sized Baby Bel cheeses. But they caught on, and the result is the commercial success you see today. I like stories like that; someone had the good sense to see the opportunity and exploit it. Nowadays of course the process is highly automated. I have always been suspicious of food manufacturers, since my friends from school returned from their vacation jobs with tales of filthy production lines, or birds getting sucked into air intakes and incorporated into crisps, for example. Perhaps I'm just out of date. Anyway the Bel factory is a masterpiece of cleanliness, I was impressed by all the hygiene-related procedures and checks, and the seriousness of the attention applied to them.